The three large US global network airlines and Southwest and Spirit Airlines have differing outlooks for domestic revenue growth in 2Q2018. Although their international entities will lead revenue generation for American, Delta and United, their domestic operations are expected to sustain their positive unit revenue generation. There are many reasons unique to Southwest for its projected unit revenue decline in 2Q2018, including some booking pressure resulting from the mid-Apr-2017 incident, when a fan blade broke off one its 737's engines on a flight from New York to Dallas. The airline is also operating a less than ideal schedule due to the retirement of its Boeing 737-300 Classic fleet. Southwest believes 2Q2018 will mean a bottoming out of its revenue performance, but admits it is off-plan in its revenue generation. Spirit has faced discounting for the better part of year, and now appears to be working to shore up its non-ticket revenue, forecasting that it can reach USD55 per passenger in 2018. It is too early to determine the specific effects of the roll-out of Basic Economy pricing by the US full service airlines, but those fare segments are no doubt creating a different pricing dynamic in the US domestic market. Large US global network airlines expect solid domestic unit revenue growth in 2Q2018, but their respective international performances will be stronger. Southwest faces tough challenges, overshadowed by a recent engine incident and hindered by a suboptimal fleet structure. Spirit is working to restore its non-ticket revenue to historical levels. American, Delta and United all posted positive domestic unit revenue growth in 1Q2018; however, growth in their domestic entities was lower than in the international regions. American and United posted domestic PRASM growth of 2% and 1.6%, respectively, while Delta’s domestic TRASM grew 2.6% year-on-year. By contrast, Delta recorded an 11.5% jump in trans-Atlantic TRASM year-on-year in 1Q2018. American’s best performing hubs were Miami and Dallas/Fort Worth, the company management citing Basic Economy upsales and strong corporate demand. Delta stated that all its domestic hubs had posted unit revenue improvements in 1Q2018, with the exception of Seattle, which was flat on a 20% capacity increase year-on-year. United cited strength in corporate revenues, which increased 9% year-on-year, led by the energy sector. All three of those airlines expect positive unit revenue to continue in the domestic market in 2Q2018, although Delta remarked that for the domestic entity to move toward the nearly 12% of the trans-Atlantic would be a stretch. “But we see solid progression through the year, and I think that’s what we’re working on is to continue that momentum”, said company president Glen Hauenstein. 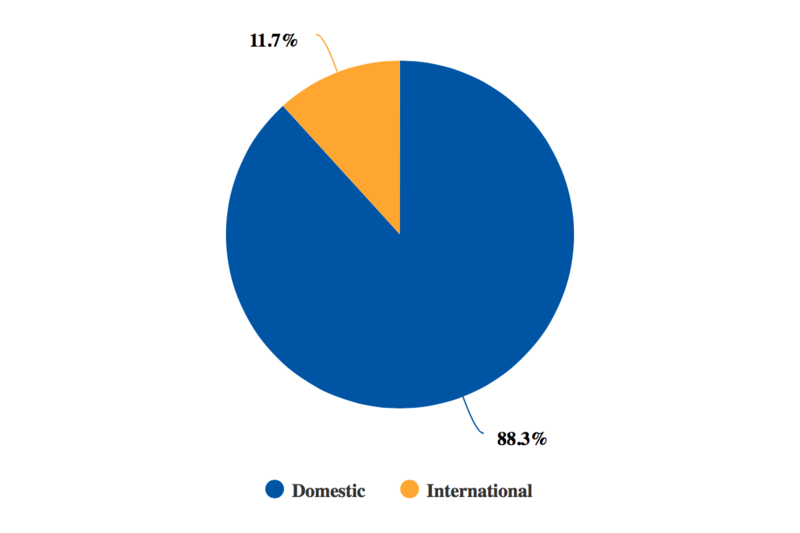 Southwest represents 19% of the US’ domestic ASKs, and the domestic market represents 95.5% of the airline’s ASK deployment. 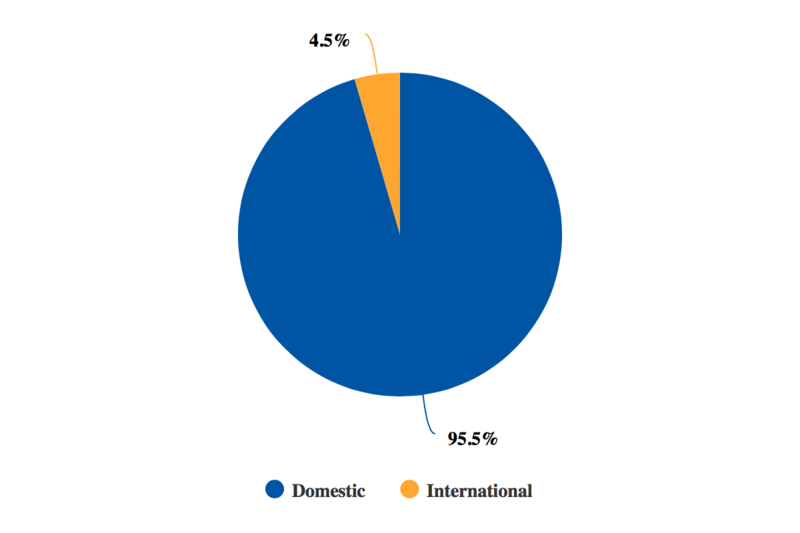 Given those statistics, Southwest has a larger exposure to the US domestic market. The airline’s unit revenues fell 1% year-on-year in 1Q2018, and its projections are a 1% to 3% decline in 2Q2018. There are a lot of moving parts to Southwest’s 2Q2018 forecast. Close to between 1ppt and 2ppt of the pressure is from book-aways after the mid-Apr-2017 737 engine incident, which unfortunately resulted in a fatality. The revenue hit from the incident could reach more than USD50 million for the quarter. The airline is still challenged by operating a suboptimal schedule due to its fleet transition, with the retirement of its Boeing 737-300s. Essentially Southwest is extending its schedule to operate more flights earlier in the day and later in the evening, which are generally lower-yielding operations. Some of the fleet pressure should recede in 3Q2018 as more aircraft are put into service. There is also fare pressure in Southwest’s California markets where, along with its rival Alaska, it has added capacity on intra-California routes during the past year. Southwest CEO Gary Kelly admitted that the airline was off its revenue plan, and the company was working regain momentum. Its goal remains a positive unit revenue performance for 2018. Spirit’s TRASM fell 2.4% year-on-year in 1Q2018 and the forecast decline for 2Q2018 is 6.5% to 7.5%. The majority of its ASKs, 88%, are also deployed into the US domestic market. Some of the unit revenue decline in 2Q2018 is due to timing of the Easter holiday, which fell in 1Q2018. Spirit has been facing pricing pressure in the US market for quite some time, and recently, in response to a broader question about the US industry, the company’s CEO Robert Fornaro remarked that “we’ve really stopped talking about the industry pricing environment. It is what it is. It’s aggressive”. He stated that airlines with cost structures that are essentially double that of Spirit are “under-selling us. And then they complain about our prices”. How much of that pricing is related to Basic Economy remains to be seen. It has been less than a year since American and United began rolling out their lowest fare tiers across their domestic network. Spirit has always maintained that fare families were a way for major airlines to improve their revenue management, and American, Delta and United have all cited buy-ups from Basic Economy. For example, United recently stated that 60% to 70% of its customers were buying up to standard economy fares. Spirit has recently been successful in pushing fare increases through, but the ULCC model is to drive high load factor in order to push up ancillary revenue. The airline has posted a rebound in its non-ticket performance per passenger: it expects to reach USD55 per passenger in 2018, after posting a performance of USD51.87 in 2016 and USD53.00 in 2017. As the largest US airlines and the country’s biggest ULCC, Spirit, navigate the domestic environment for 2Q2018, Southwest is working to overcome some unforeseen challenges to right the course of its revenue performance for 2018. At the same time, Spirit and all US airlines are working to adjust to branded fares introduced by the US majors. A certain level of scrutiny will be cast over Southwest’s and Spirit’s unit revenue performance in 2H2018 to determine how pricing in the US market place is trending for full service airlines versus lower cost and ultra-low cost airlines. As fuel prices rise, the period shapes up to become a telling pointer to the future.